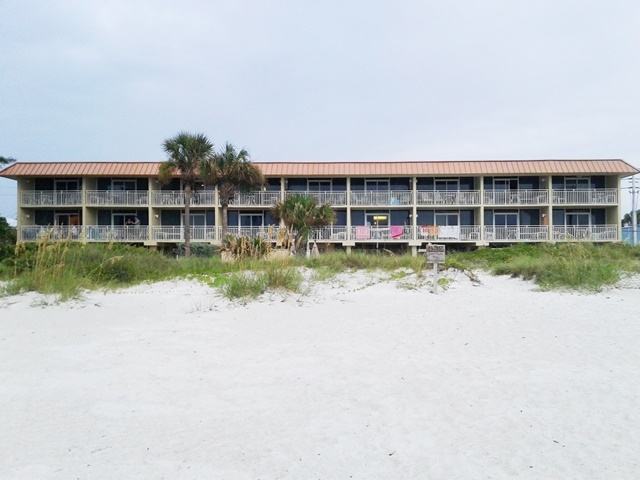 Club Bamboo South unit 120, Gulf Front Studio, ocean view, maximum occupancy of 4 people. 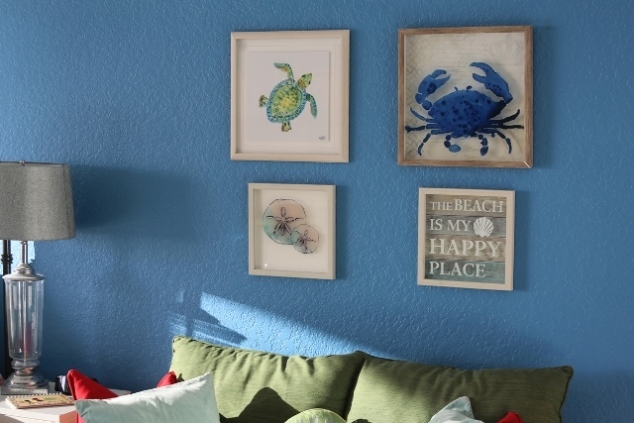 This newly remodeled (March 2016) beachfront studio has a bright, fresh, colorful beachy vibe. It has a King size bed with pillow-top mattress, and 2 single pull out beds - one from the loveseat, and the other in the ottoman. This unit has beautiful tile flooring throughout. The unit is also equipped with a high res. 42" flat screen TV, Blu-Ray Player, clock radio, wireless Internet access, a/c, and ceiling fan. The kitchenette comes with a blender, full size refrigerator, cooktop, microwave, coffee maker, toaster, and a breakfast table and chairs. The kitchenette has everything you need to whip up a nice meal. The bathroom has a full size tub/shower, and a vanity with plenty of storage. There are two safety bars in the tub/shower and one near the toilet. A hair dryer is also provided. 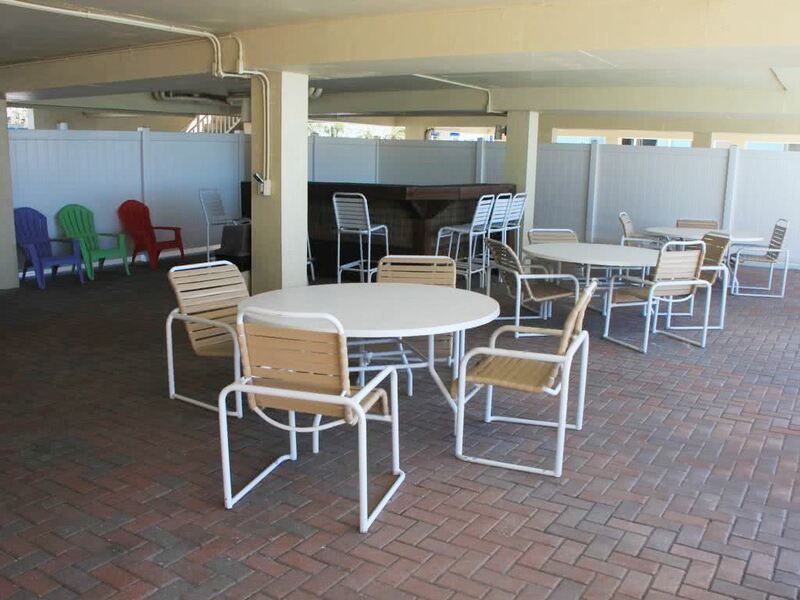 Onsite property management will ensure that your stay with us is enjoyable and relaxing. 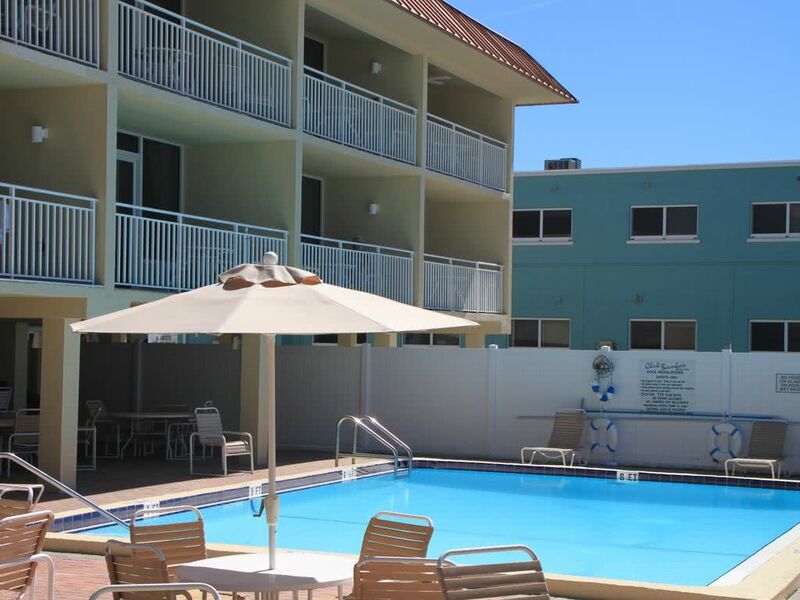 The building is located very close to island restaurants, bars, shopping, and supermarkets. Historic Bridge Street is as close as a stroll along the beach. Free parking. 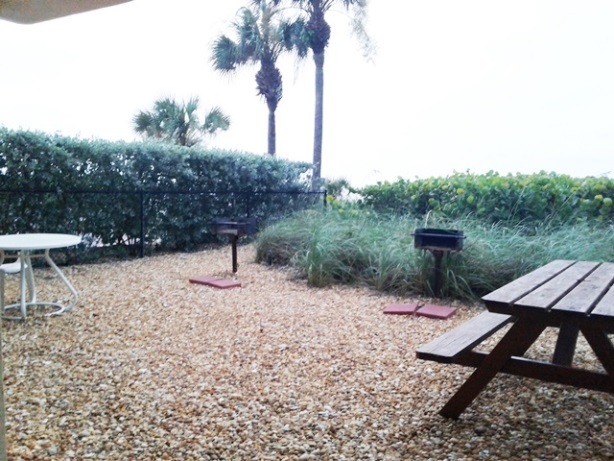 You can choose whether to cook a lovely meal in the fully equipped kitchenette, or use one of the property's BBQ grills. 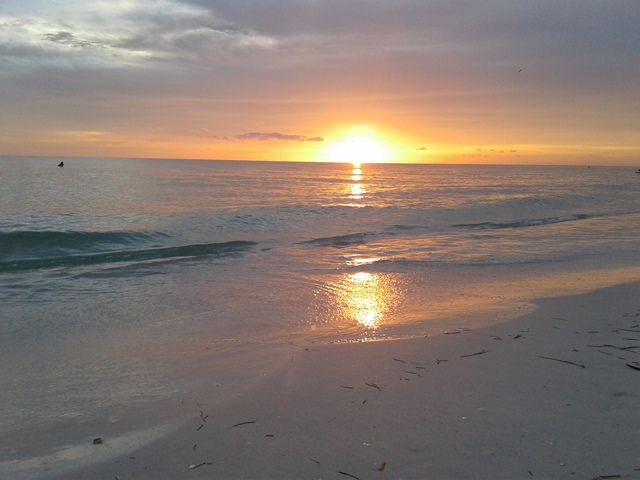 If you're feeling adventurous and want to do little exploring, you can always hop on Anna Maria's FREE trolley and head to a charming island restaurant. 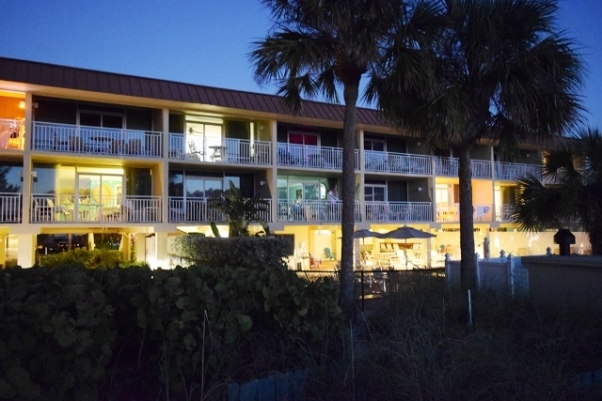 After a nice meal, you can arrive back at your suite and enjoy the view from your private lanai, which is beautifully located directly above the white-sandy beach, and offers gorgeous panoramic views of the Gulf of Mexico's glorious turquoise waters you've come to Anna Maria Island, to find. Please contact me with information regarding Club Bamboo South 120 Studio. 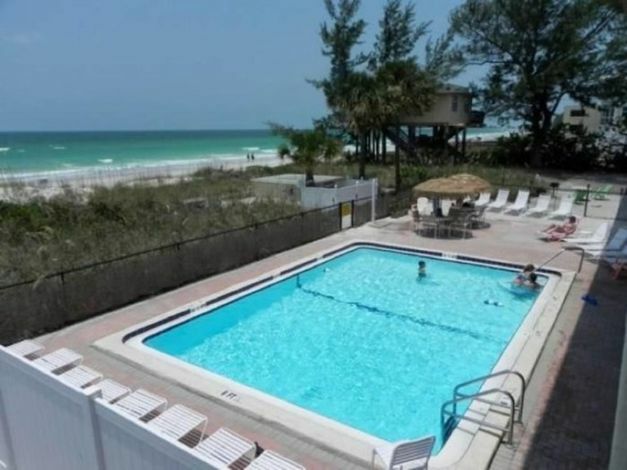 Review #19711974 "Club Bamboo South unit 120, Gulf Front Studio, ocean view, maximum occupancy of 4 people." clean comfortable with basic items readily availabe relaxing and comfortable. staff added hugely to the overall pleasure. My mom has stated over and over it was a place for her "best birthday ever in 92 years". My brother and I agree! Room was awsome! Loved the decor. WE will be back. Bed was comfortable workers were very friendly.